Dubs boss Anthony Daly says the young footballer is mulling his invitation over. Kevin Byrne of Dublin with Niall McMorrow of Dubs Stars. CIARÁN KILKENNY IS considering an offer from Dublin hurling manager Anthony Daly to become the GAA’s highest profile dual star in 2014. Daly confirmed he’s contacted the All-Ireland winning football forward about performing a dual role with both county teams. The former Clare hurler has also put the same offer to footballers Cormac Costello and Eric Lowndes though they turned him down. Kilkenny has indicated in the past that he would like to play for both county sides, however, and told Daly that he would mull over the offer. “I had a chat with himself, he didn’t say no,” revealed Daly. “He’d love to have a go at it I’d say but I don’t know how practical it is. One player who is definitely in Daly’s plans for 2014 is Barry Connolly, son of Galway legend Joe. The wing-forward shot a point in the Dubs Stars hurling challenge which was won by the club selection thanks to second-half goals, at Clondalkin’s Round Towers, from Paul Ryan and Aidan Roche. Dublin will warm up for the new season with a number of challenge games. The Leinster champions will play Waterford this weekend followed by ties against Na Piarsaid, Loughgiel Shamrocks and the University of Limerick. Scorers Dubs Stars: Paul Ryan 1-6 (1-0 pen, 0-5 fs, 0-1 65), Aidan Roche 1-0, Conal Keaney 0-2, Nial McMorrow, John McCaffrey, Paul Winters, Shane Stapleton and Alex Darbey 0-1 each. Scorers for Dublin: Martin Quilty 0-3, David Treacy, Ryan O’Dwyer and Eamon Dillon 0-2 each, Barry Connolly (0-1 f), Sean McGrath, Mark Schutte and Glen Whelan 0-1 each. Dubs Stars: Gary Maguire; Jack Doughan, Peter Kelly, Stephen O’Connor; Shane Durkin, Darren Kelly, Conor Robinson; Niall McMorrow, Johnny McCaffrey; Paul Winters, Shane Stapleton, Conal Keaney; Adam McGreal, Kevin O’Reilly, Paul Ryan. Subs: Eoin Moran for Robinson h/t, Aidan Roche for O’Reilly h/t, Gary Quinlivan for Stapleton 48, Alex Darbey for Winters 52. Dublin: Stephen Chester; Simon Timlin, Cian O’Callaghan, Conor McCormack; Stephen Hiney, Chris Crummey, Matthew McCaffrey; Kevin Byrne, Martin Quilty; Barry Connolly, Ryan O’Dwyer, Sean McGrath; David O’Callaghan, David Treacy, Mark Schutte. Subs: Sean McClelland for for McCormack h/t, Joey Boland for Hiney h/t, Liam Rushe for Byrne h/t, Colm Cronin for O’Dwyer h/t, Glen Whelan for McGrath h/t, Eamon Dillon for O’Callaghan h/t, Tom Devlin for Treacy 41, Paul Schutte for McCaffrey 44. Referee: James Brennan (Thomas Davis). Email “Ciarán Kilkenny weighing up dual role as Stars beat Dublin hurlers”. 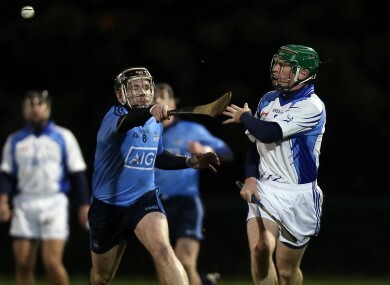 Feedback on “Ciarán Kilkenny weighing up dual role as Stars beat Dublin hurlers”.